My first three suspension forks were Manitou: the Manitou 1, 2 and 4 (I’m not sure how I missed the 3). This Mattoc Pro is the first Manitou fork I’ve ridden since about 1995, mainly because almost every bike comes with a Fox or RockShox fitted as stock. At the risk of blowing the conclusion before the intro is finished, based on the performance of this fork, I wish Manitou forks came stock on more bikes. I rode a 27.5 Mattoc Pro with 160mm of travel and Boost spacing. Travel can be adjusted in 10mm increments between 140mm-170mm and the legs are 34mm in diameter. The arch is uncommonly at the back of the fork (because it can be mounted lower on the legs for increased stiffness this way) and it comes with a bolt-on super-tidy mudguard – a real boon in NZ’s winter. The Hexlock captured bolt-up axle is fractionally more complicated than most but it only takes one go to figure it out (put the axle in from one side but tighten it up from the other side). It’s available in the awesome glowing-red I had, or stealth black. There are a ton of adjustments on the Mattoc Pro – including a couple that I hadn’t encountered before, and now don’t want to live without. Starting with the usual: there is of course rebound adjust, along with low speed and high-speed compression adjustment. In terms of damping, there’s one I haven’t seen before and would like to see more of – hydraulic bottom out (HBO) adjustment: five little clicks of adjustment independent of anything else, which controls just the last portion of travel to let you make the fork just touch bottom out once the rest of your settings are dialed. On the air spring side, instead of volume adjust tokens, there is what Manitou call ‘Infinite Rate Tune’ (IRT) which is a two-stage positive air chamber. In short, the positive air chamber is split in two by a floating piston and each separate (but inter-related) air chamber has its own valve allowing different pressures to be run in each. It sounds complicated but it’s this feature more than anything that allows the Mattoc Pro to be set up to suit any rider’s preference. You want linear feel? Easy, run both chambers at the same pressure and you essentially have what every other fork is with no volume reducers. This works well for a supportive feel in early and mid-stroke while still allowing full travel for lighter riders, or riders who don’t have big drops in their normal riding. Adding more pressure to the secondary chamber will make the fork ramp up more from around the middle of its travel onwards. Adding more pressure to the secondary chamber and removing air from the main chamber will give you a more supple initial stroke while still providing mid-stroke and bottom out support (and you’ve got the HBO to fettle with too). It’s worth being clear that in my experience the IRT is straight-up better than volume reducer tokens because while tokens increase bottom out resistance, unless you can put up with way-too-hard ramp-up, you’ll lose some mid-stroke support using tokens. Whereas IRT adds mid-stroke support. In addition, the HBO adds adjustable bottom out resistance that is better than tokens because it doesn’t generate more air spring that then overwhelms proper rebound damping. Phew. This all means that no matter how you like your fork to feel, the Mattoc Pro can be set up that way. Of course, it also means you can potentially set your fork up to ride in a way you didn’t want it to ride. In this case, just go back to your initial settings and start experimenting again. The other reason the damping is so good is that there are only 4-5 clicks on both compression damping adjustments and the hydraulic bottom out. This means that you can actually feel a difference with each click, making adjustments easier to gauge as you figure out what your preferences are, as opposed to feeling like you’re just twiddling with dials hoping you can notice a change at some point. Even if you’re a set-and-forget rider, I wouldn’t be put off by all the adjustments on offer because even set up ‘normal’ (with both chambers equal) the Mattoc Pro is an excellent fork, especially with hydraulic bottom out adjust. I would say it doesn’t quite have the super-smooth starting stroke of the new Fox 36 Grip 2 or the RockShox Lyrik (maybe due to another seal needed on the IRT piston? ), but this is only something I can notice when standing beside the fork rapidly pushing it up and down. It’s not something I could feel while riding. What I could feel riding is the Mattoc Pro damping feels very ‘composed’. It’s never harsh and it’s never uncontrolled in compression or rebound. There are always compromises in any set-up, but the Mattoc Pro offers the least compromises of any fork I’ve set up. Small bump-smoothing, mid-stroke-support-and just-right-end-stroke are all attainable in one setting, or you can prioritise one over the others, or two over the other. There’s one other positive thing the Mattoc Pro offers in New Zealand – that is Shockcraft’s support and chief Engineer and owner Dougal’s knowledge and passion. As well as professional servicing, if you ring Dougal with a suspension question or problem, chances are that with his assistance you will solve it and get the performance you are seeking. A couple. First, our first review fork had a creaky crown. This is an issue that affects seemingly every brand of fork at some time or other. It turned out to be an issue affecting a number of 2018 Mattoc Pro forks, so Manitou came up with a bonding solution and sent out fixed crown-steerer-units for all affected forks, including this one. 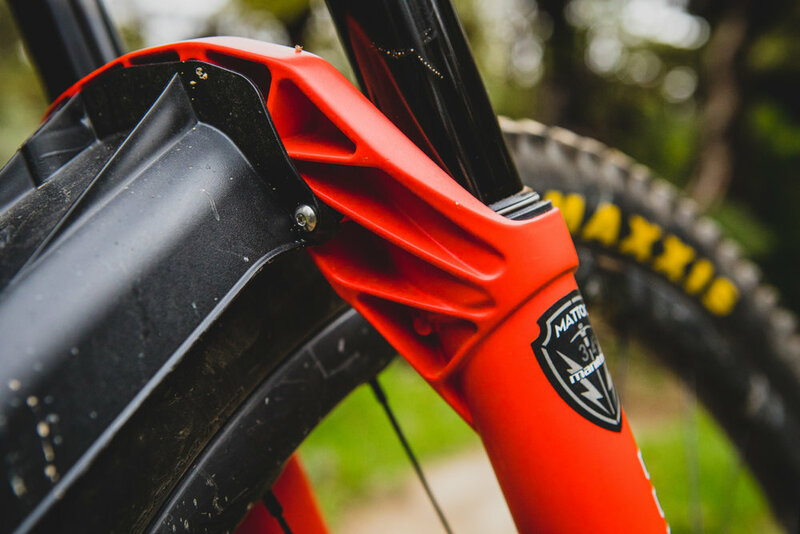 Manitou have since made changes to the 2019 Mattoc Pro’s crown, steerer and legs to make a creak-free interface so it shouldn’t be an issue in future. The other issue I encountered after a few weeks of riding was a muffled rattle. At first I thought it was a slightly loose headset, but eventually I tracked the feeling down to very slightly loose fork bushings. I spoke to Dougal who assured me this is something easily fixed (by him, not by me or you) and once reset shouldn’t rattle again. It didn’t affect performance except to the extent a rattling feeling is pretty distracting when you’re descending, though less so once you know it’s not the front wheel or brake about to fall off. In terms of stiffness, I wondered if the 34mm legs would feel less stiff than the 35 and 36mm legs I’m more used to, but I can’t say I noticed. Is that due to the backwards arch? Or because I’m not super-heavy and don’t ride like Richie Rude? I’m not certain. Either way, there appears to be a new Manitou (with 37mm legs?!) on the horizon and while it seems clear the structure will be bigger, I’ll be surprised if the IRT air spring and the quality of damping can be greatly improved above what I found in this here Mattoc Pro. The main thing is this new fork will work with the new breed of long-travel 29ers, whereas the Mattoc Pro tops out at 140mm for 29ers. 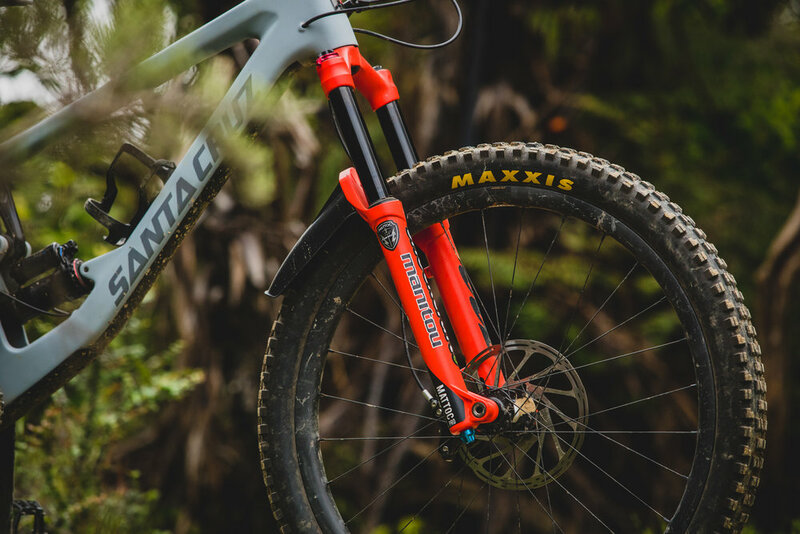 So long as the creaking-crown issue is indeed resolved (our fixed fork didn’t creak once) and the bushing rattle I experienced was a one-off, I’d call the Mattoc Pro the best overall fork for a mid-big-travel 27.5 mountain bike that I’ve ridden. For the best of NZ Mountain Biker, subscribe to our print edition.